I received my (complimentary!) 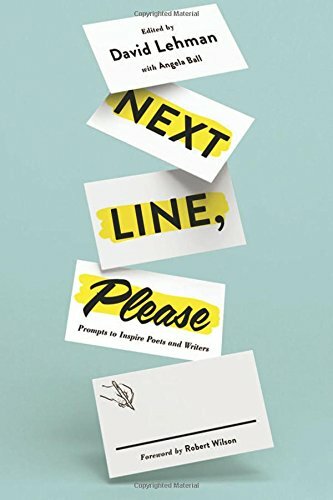 copy of Next Line, Please: Prompts to Inspire Poets and Writers, edited by David Lehman, which contains some of my work, including "At The Polls." I highly recommend that everyone pick up a copy of this compendium of some of the fun that goes on weekly at The American Scholar website!